All that is needed is appropriate clothing and closed toed shoes and a camera and sunglasses if you choose. Smaller cameras are recommended but we are able to work with larger cameras as well, within reason. Everything else should be left behind. Storage is provided upon check-in for small personal belongings. Larger belongings should be left in your vehicle. Anything lost on the tour cannot be retrieved. Wear what you would for a hiking trip here in the White Mountains. For cool weather you may want to wear pants and a light jacket. A rain coat with a hood will be good for rainy and windy days. Shorts should have a 5-inch inseam, approximately mid thigh, and tank tops are not recommended, for comfort reasons. Because the course requires hiking on some short rugged trails that link between zip lines we recommend wearing hiking boots or sturdy sneakers. No opened toe footwear or sandals allowed on the course. Because of the duration of the tour guest must bring with them the appropriate clothing systems for a cold environment not unlike you would wear for a day of skiing on the mountain. A layered system is best so that you can best regulate your body temperature. Avoid wearing cotton clothing as it is very cold to wear once wet. 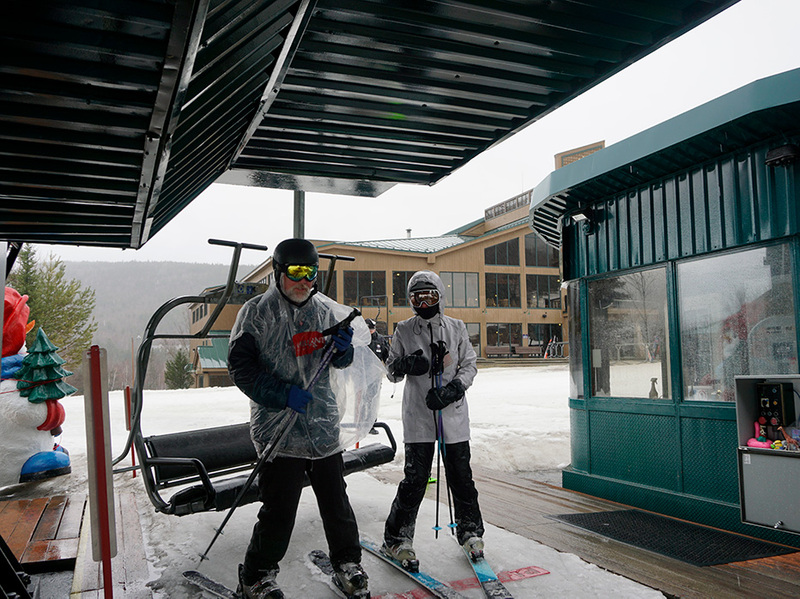 The Bretton Woods Canopy Tour will provide Yaktrax, and zip line gloves. Comfortable insulated winter boots can be rented for $5 per tour. A limited amount of winter clothing/gear is available for those who do not have what is required on the list below- please give us advanced notice as to your needs. Insulated ski jacket and/or layered jacket system (fleece/softshell jacket with weather proof shell. A hood that can pull over a helmet would be a plus. Insulated hiking boots or work boots are recommended. Ski boots are not allowed. Snowboard boots are okay.